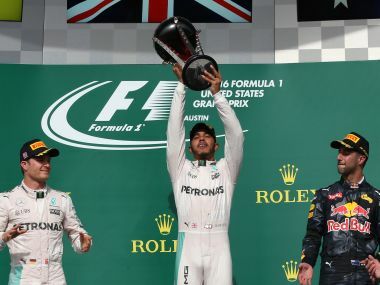 Austin: Defending champion Lewis Hamilton kept alive his bid for a fourth world title on Sunday when he claimed his first victory in six races at the United States Grand Prix and a 50th career win. 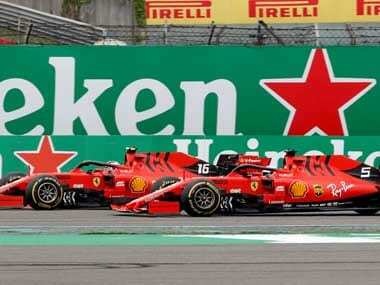 The Briton produced a flawless drive from pole position to finish almost five seconds ahead of his Mercedes team-mate and championship leader Nico Rosberg. "This has always been a good hunting ground for me. I love being in the USA. I'm proud of the team's effort this weekend," said Hamilton. 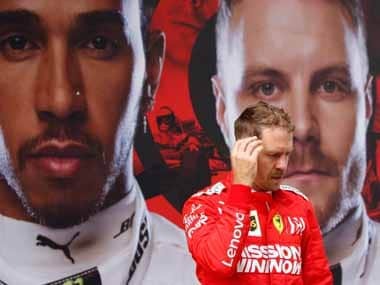 Australian Daniel Ricciardo finished third for Red Bull and four-time champion Sebastian Vettel came home fourth for Ferrari after team-mate Kimi Raikkonen had been forced into a bizarre retirement when he left the pits with a loose rear wheel. 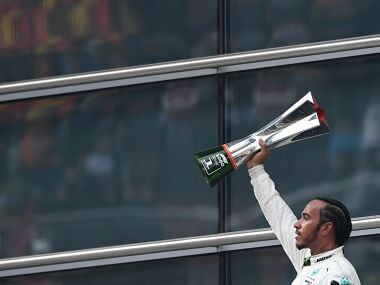 But it was again all about the Mercedes rivals and Hamilton trimmed Rosberg’s championship lead from 33 points to 26 with three races remaining, but he knows that even if he wins them all the German can take his crown by finishing second in each one. Rosberg said: "I lost out a bit at the start, but I gave everything to come back and I was going flat out all the way right to the end." It was Hamilton’s seventh win this season, but his first since the German Grand Prix back in July, since when Rosberg has grabbed the momentum. Ricciardo’s feisty Red Bull team-mate, the Dutch teenager Max Verstappen, also retired after a mechanical failure, leaving the way open for Fernando Alonso to seize fifth for McLaren after a late attack on fellow Spaniard Carlos Sainz. Hamilton had revealed concerns before the race about his engine -– fitted overnight Friday with a new fuel injection system –- but on a near-perfect warm autumn afternoon in Texas he made a clean getaway when the lights went out. He led off the grid from the 58th pole of his career as Ricciardo, from third, accelerated up the hill behind him into Turn One, where he found a way past Rosberg to take second. Behind the leaders there was contact between Nico Hulkenberg’s Force India and Valtteri Bottas’s Williams, the former losing his front wing and, after limping to the pits, retiring at the end of the first lap. Roared on by a big crowd at the Circuit of the Americas, where Taylor Swift had entertained 100,000 fans on Saturday night, Hamilton took early control of the race and enjoyed a 1.4-second lead by lap three. Ricciardo, the only one of the leading drivers to start on "super-soft" tyres, pitted after eight laps from second, Rosberg taking his place, before he too went into the pits, followed soon after by Hamilton. Hamilton regained control after 15 laps, when Vettel pitted for softs, the German rejoining in sixth. Almost immediately, the Briton eased open a gap at the front while Rosberg resisted attacks from Verstappen. His audacity was not matched by substance and when he followed Ricciardo into the pits for his second stop, his pit crew was not ready. Verstappen apologised for his own error, took a relatively slow 9.2-second stop and within three laps was forced to retire with engine failure. His exit prompted the deployment of a Virtual Safety Car period during which both Hamilton and Rosberg pitted again. When they rejoined, Rosberg almost went past Pascal Wehrlein’s Manor before remembering overtaking was not permitted. For Raikkonen, in his Ferrari, it was race over when after a pit stop he stopped and rolled back down the hill to the pits. Ferrari were under investigation for an unsafe release of his car with a suspected loose wheel. 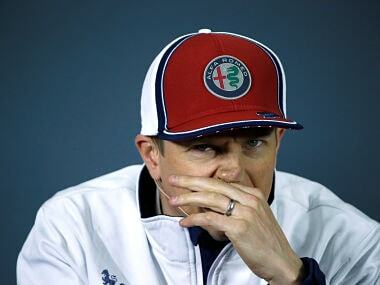 Raikkonen said a wheel-gun was still attached to his car when he left the pits.